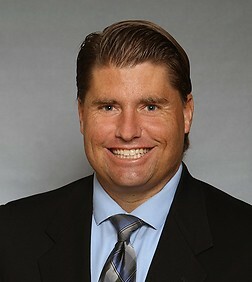 Jason Guyser is an associate in the Labor and Employment Practice Group in the firm's Orange County office. Jason devotes his practice to the zealous representation of employers in all labor and employment law related matters. Jason has experience defending employers against individual and class claims in state and federal courts as well as in arbitration. Jason specializes in defending against alleged violations of wage and hour laws, claims of discrimination, harassment, retaliation, wrongful termination, breach of contract and other related matters. Jason also has extensive experience in securing protective restraining orders on behalf of employers to prevent workplace harassment by former employees. In addition to his experience before judicial and arbitral forums, Jason has experience representing employers before various governmental agencies including the Department of Fair Employment and Housing (DFEH), the Department of Industrial Relations, the Employment Development Department (EDD), and the California Unemployment Insurance Appeals Board. Although Jason ardently defends employers in litigation, Jason strives to assist clients in avoiding litigation by regularly advising clients in their day to day operations. Jason helps employers traverse the intricate and complex web of employment statutes and regulations by regularly drafting various policies and procedures and employee handbooks in compliance with state and federal law. Successfully defeated class certification of all eight counts in a wage and hour class action before Orange County Superior Court on behalf of a national clothing retailer. Briefed and successfully opposed appeal before Ninth Circuit Court of Appeals regarding proper statutory interpretation resulting in dismissal of entire case. Tried case in Arbitration regarding breach of contract and severance payments with favorable results for employer. Spearheaded an appeal before the California Unemployment Insurance Appeals Board achieving a complete reversal of a prior ruling whereby the employer's reserve account was relieved of all charges for unemployment benefits for hundreds of employees resulting in significant savings for the employer. Procured permanent restraining orders on behalf of two separate employers preventing former employees from harassing or contacting current employees and from coming within a certain distance of the employers' premises for the maximum allowable statutory time of three years.